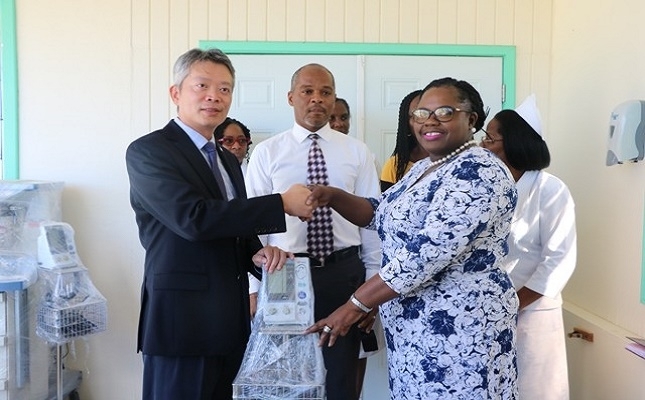 The Alexandra Hospital on Nevis, through the Ministry of Health in the Nevis Island Administration, was presented with a gift of medical equipment and supplies by His Excellency Mr. Tom Lee, Republic of China (Taiwan) Resident Ambassador to St. Kitts and Nevis, at a handing over ceremony at the medical facility on February 12, 2019. In handing over the donation, Ambassador Lee stated on receipt of the request for the equipment, the embassy moved swiftly to assist. “As you know, Taiwan is a strong ally of St. Kitts and Nevis and of course we are very willing to share our love and also our medical resources. So when we received the request last year.